This post has already been read 22468 times! 1. It’s instinct. You ‘Throw a Lope’ when someone takes a picture of you. Mom and dad, brother and sis know how to ‘Throw a Lope,’ too. 2. You’re trying to beat the world record for fastest walk from Copeland Hall to West Center. That’s 8 minutes and 47 seconds. Walking in the snow: 26 minutes and 32 seconds. 3. It’s CAR-nee. Say it together friends: CAR-nee. Not KEER-nee or CURR-nee. 4. Sing along: “K-E-A…R-N-E, K-E-A…R-N-E, K-E-A…R-N-E”… “ ? ” That’ll be stuck in your head for the rest of the day. You’re welcome. 5. 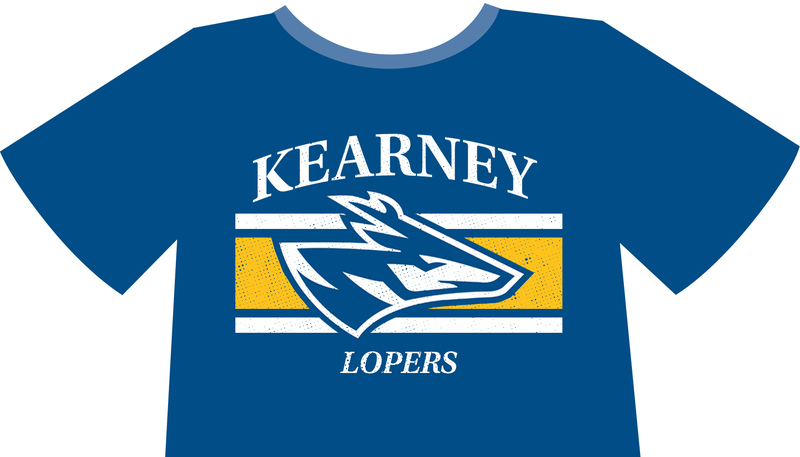 Freshmen: Your closet starts to turn blue and gold from all the free Loper t-shirts you received. Seniors: the only t-shirts in your closet are blue and gold. 6. Where are the best student discounts? You know. Five percent off at Hy-Vee? What a deal. Please don’t ask me how many times I’ve been to Qdoba this week. 7. Your back-to-school shopping is attending Blue Gold Showcase and getting free stuff from local businesses. Pencils, pens, cups, notebooks, bags…and food. So. Much. Food. 8. 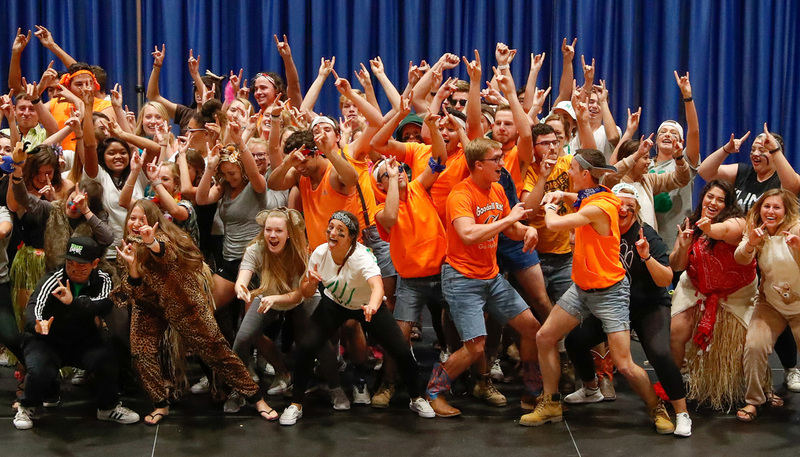 Your dance moves got a roaring cheer from 1,000 fellow students at the LipSync Battle during Homecoming Week. 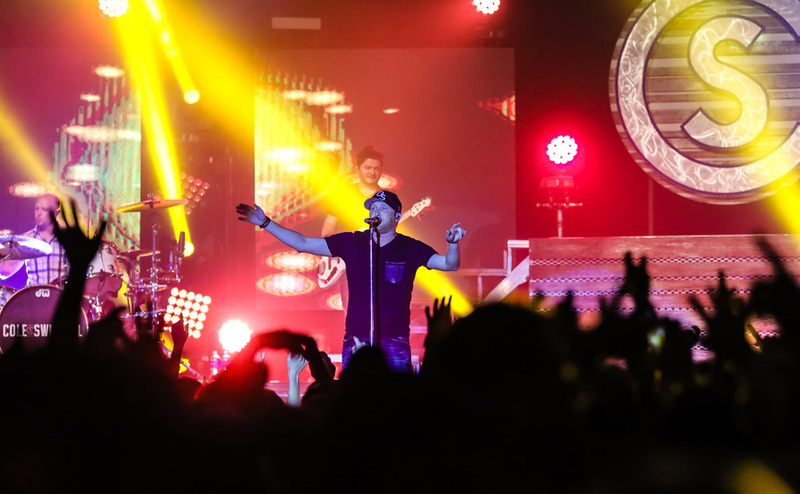 You can’t be embarrassed when you’re on stage with your best friends – who are also terrible dancers. 9. Once you start taking more classes related to your major, you pretty much see the same people every day. Looks like you can’t wear the same outfit two days in a row anymore. 10. 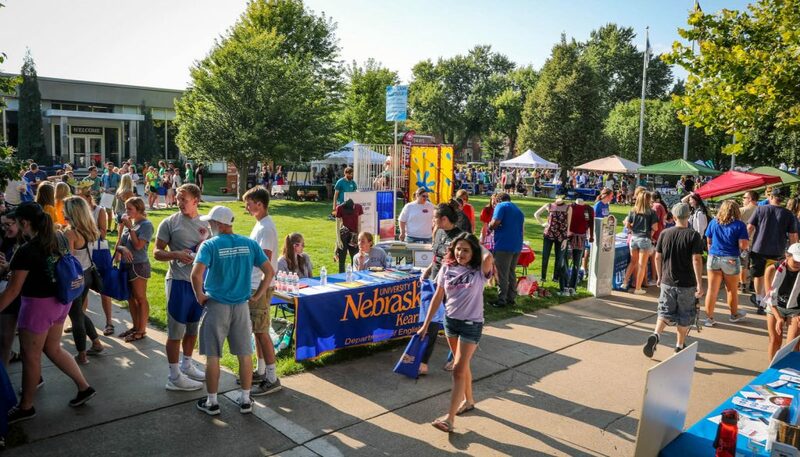 You attend the Industrial Distribution meet-and-greet for the free pizza – but end up getting offered a job because you connected with a UNK Alumni. And if you’re wondering, yes, I had two slices. 11. Your first week on campus, you’re stressing out about finding all your classes and realize by the end of the week you could walk through campus with your eyes closed. But not to all the way to West Center, of course. 12. 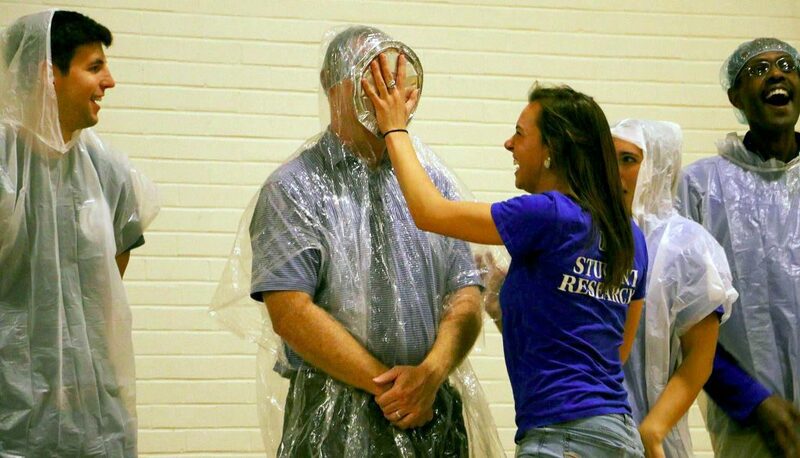 You feel close enough to your professors to throw a pie in their faces. That’ll teach you to have a pop quiz on Friday. 13. The Bell Tower plays Ke$ha’s song “Tick Tock” on a Monday morning. How’d they know I woke up feeling like P. Diddy? 14. You eat at Subway more times than “The Caf.” It is acceptable to have a foot-long sub for breakfast, lunch and dinner, right? 15. 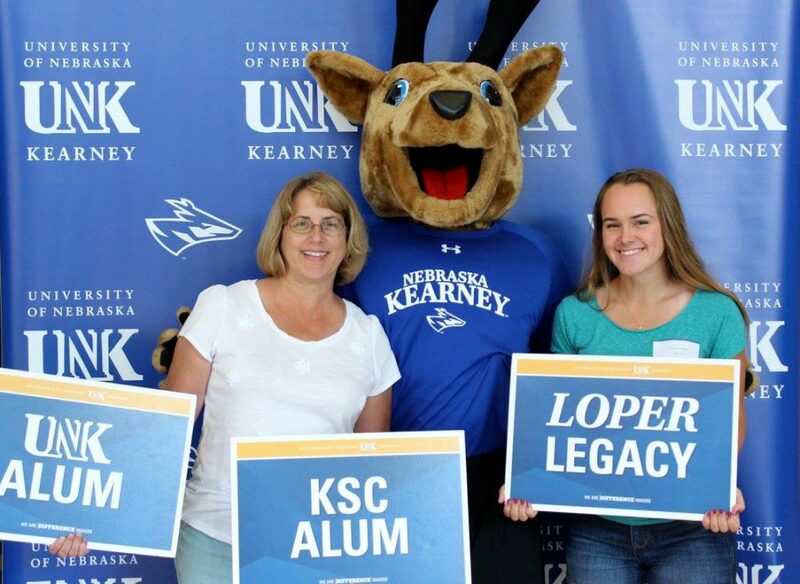 During New Student Enrollment you take a #LoperLegacy picture with Louie and your parents – who also attended UNK/KSC. 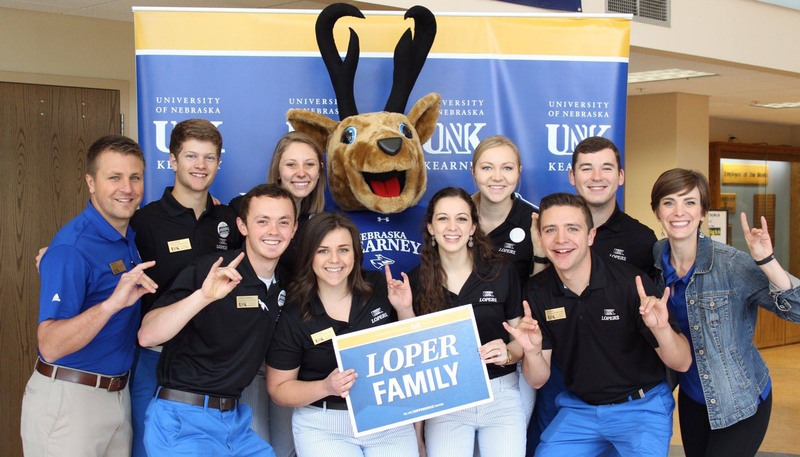 Once a Loper, always a Loper. 16. The Lopers are battling Fort Hays and you go to the game to proudly wave your BEAT HAYS towel. Best game of the year – especially with a win. 17. Planetarium showings are better than going to the movie theatre. 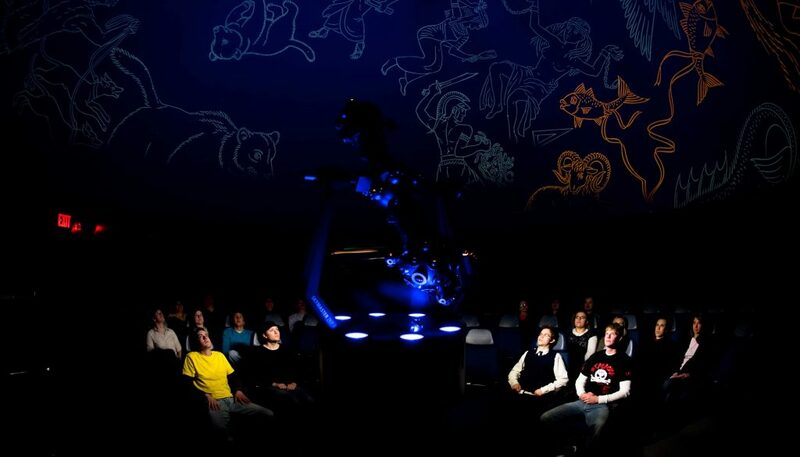 Free admission for the best Planetarium in the Midwest? Save me a seat. 18. Campus squirrels are debatably better pets than dogs and cats. They’re so tame that they’ll eat off your hand…but let’s not try that. 21. You shake your head when your high school friends transfer to UNK after starting out at another university. What’s the matter? Got lost in the crowd? Couldn’t handle the traffic? Don’t worry my friend. 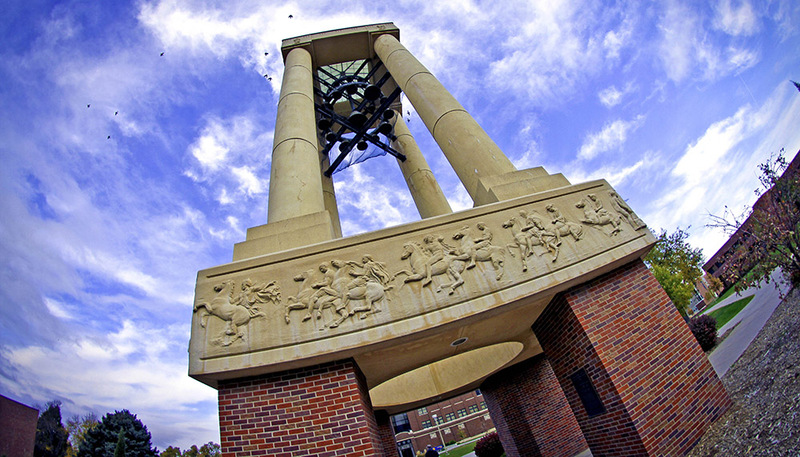 You’re always welcome here at UNK. Kearney feels like home.